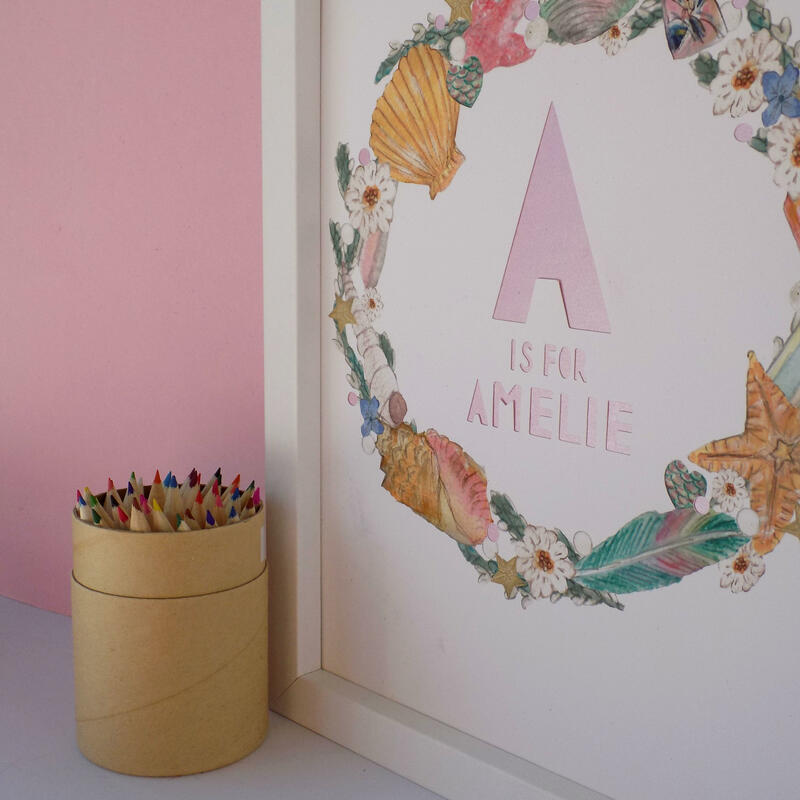 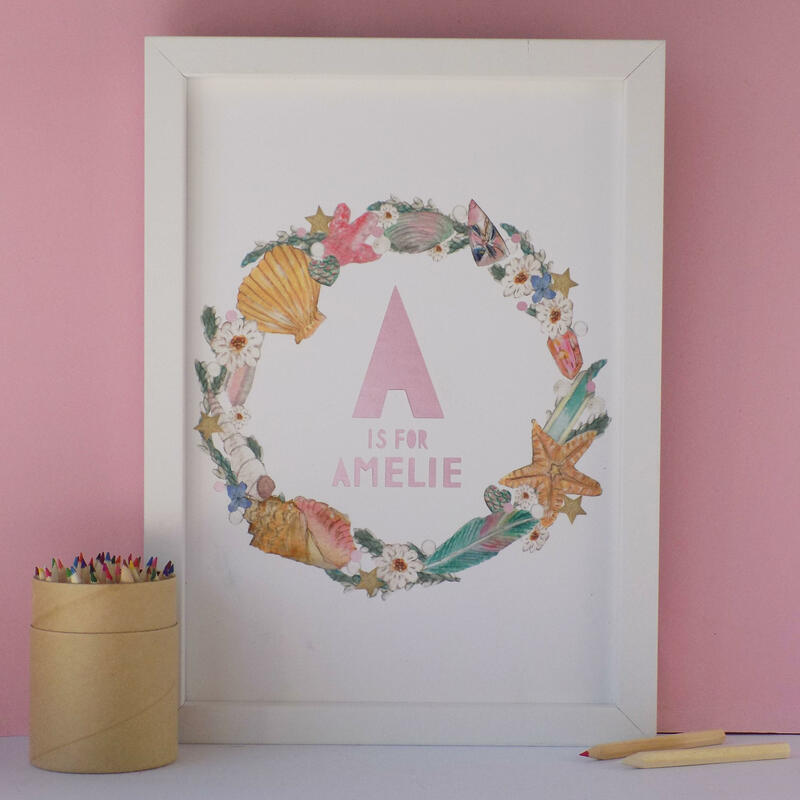 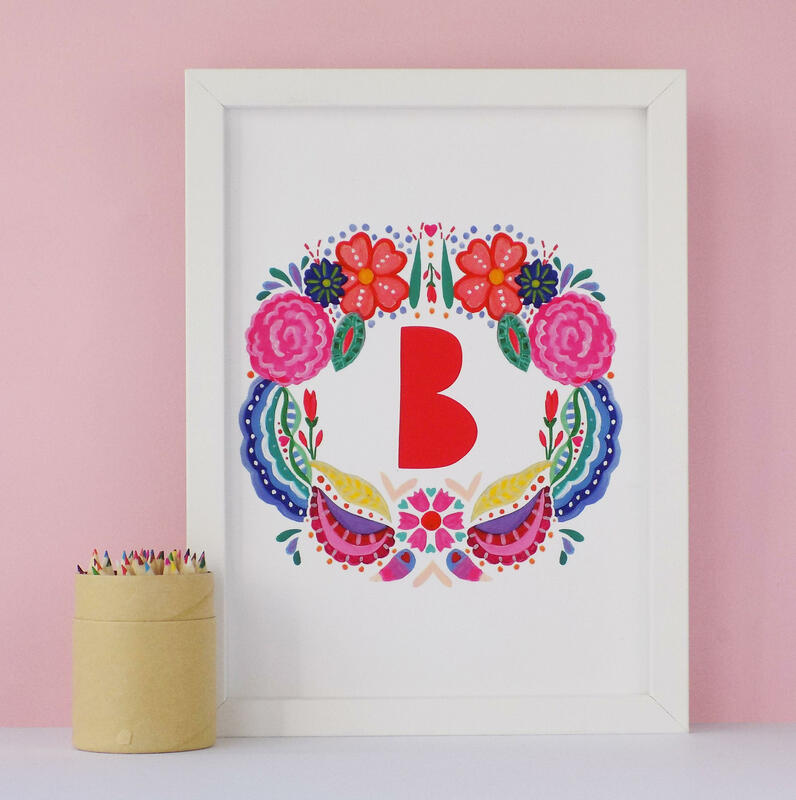 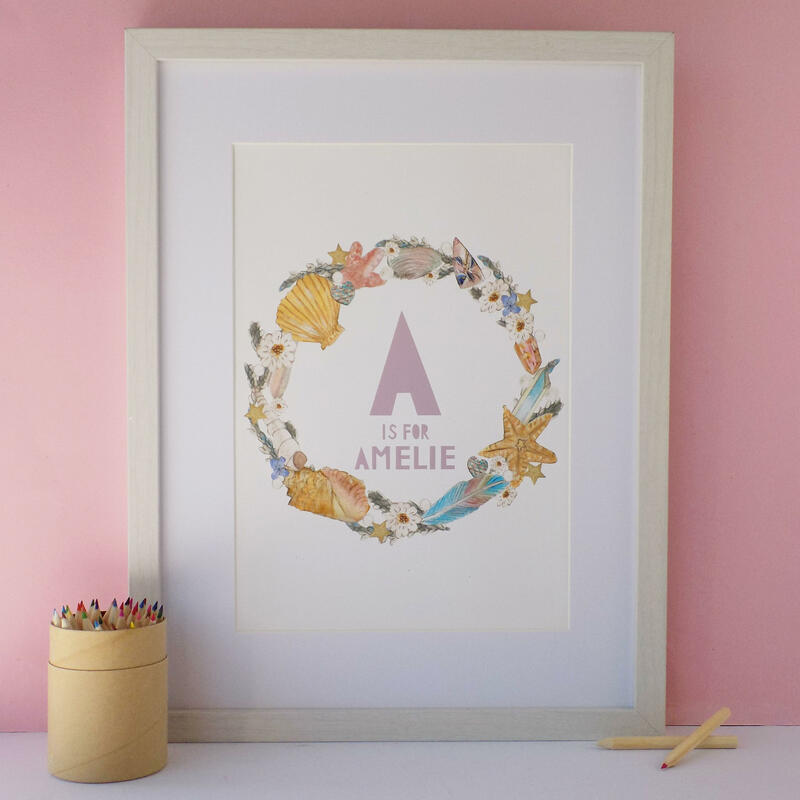 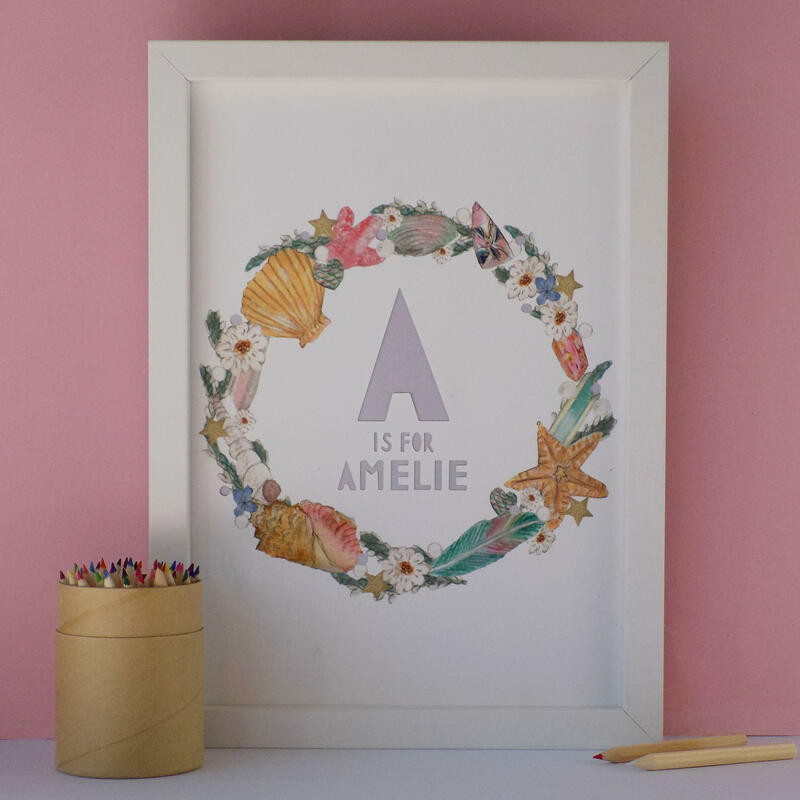 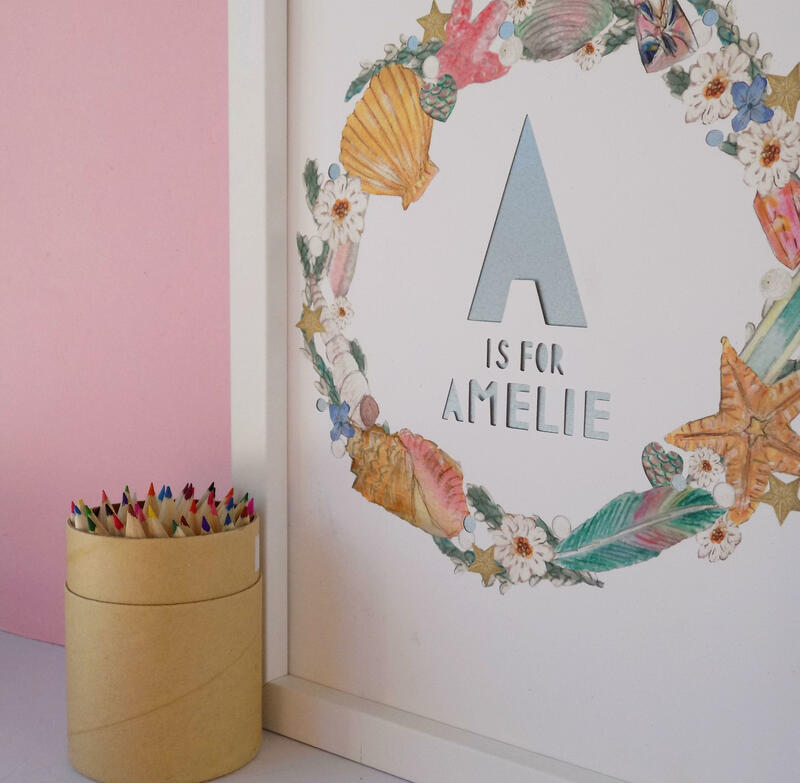 Give your little girl a mermaid crown monogram with this pretty print artwork, ideal for a bedroom or nursery. 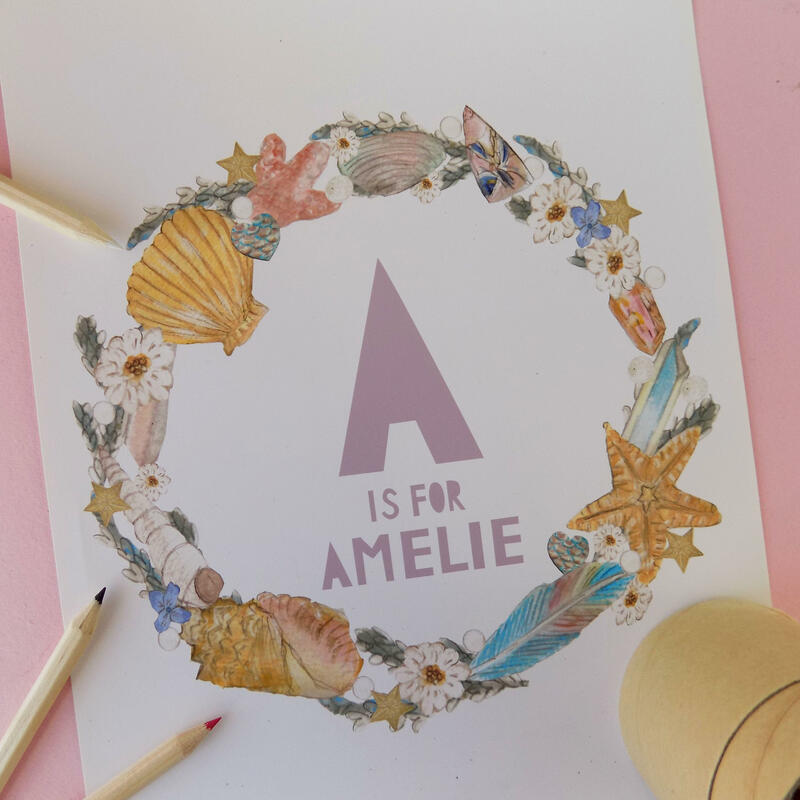 Printed on thick archival paper using , this mermaid crown is a perfect nod to the nautical trend that sets to continue in 2018. 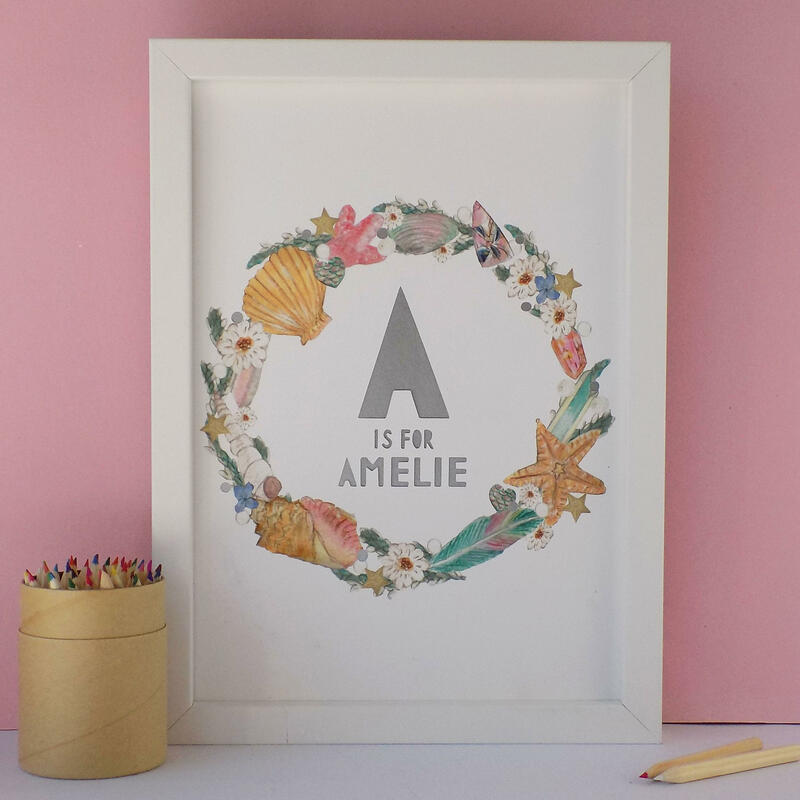 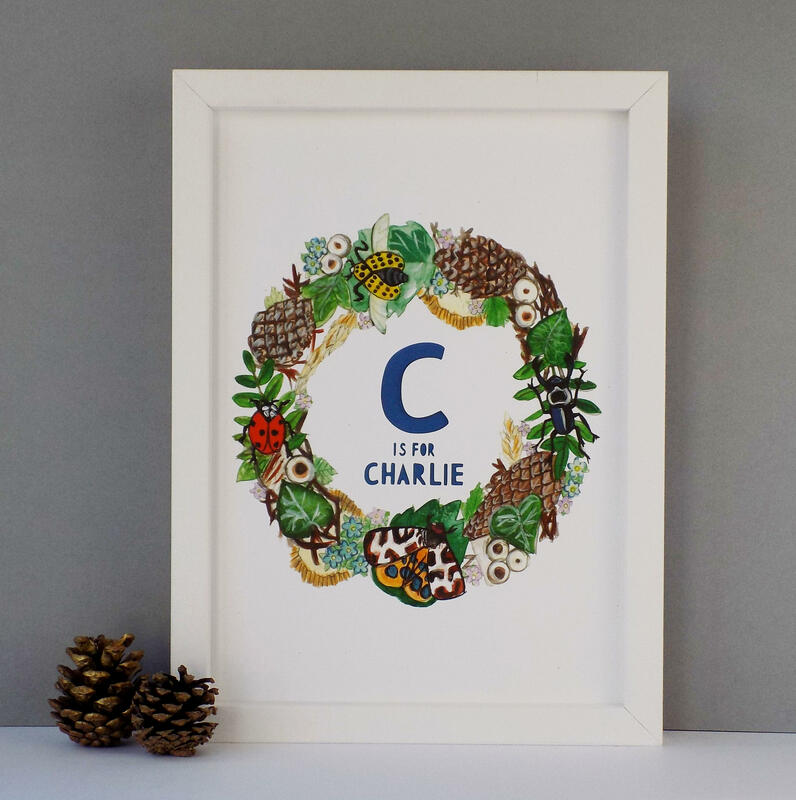 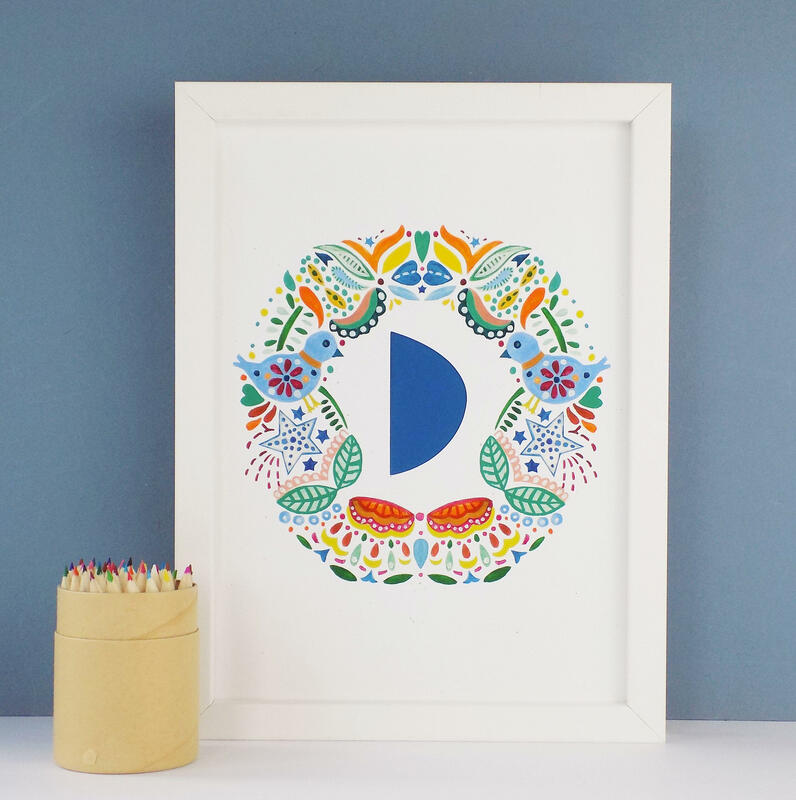 Inspired by home trends, my watercolour illustrations are combined with an overlay of my original papercut letters which have been scanned in and converted into typographic monogram.